Every inked image participates in a migration like shift from its start point, be that a plate, block, screen or file, to place(s) where it will be seen. 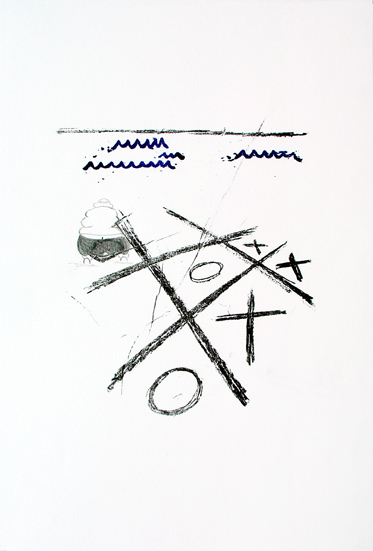 The printed image sits on a new ground, always in the here and now, separated from, yet connected to its origins. All of us here in Aotearoa carry the legacy of recent or long distant migrations to the land of the long white cloud. We are connected to, and separated from, the rest of the world by salt water. We live close to the sea, it nourishes us, connects us to home and opens us up to discovery. The word ‘wansolwara’ comes from the Solomon Islands. The word comes from the pidgin dialect and literally means ‘one salt water’. The notion arising from this is one ocean, one people. 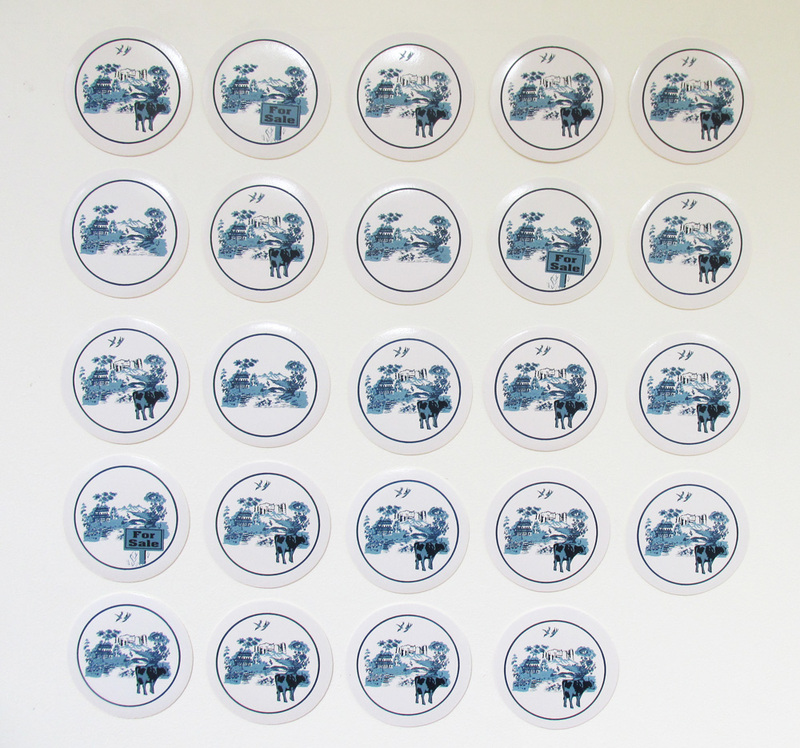 Coaster trading, 2014, screenprint on coasters. Along with the original, the coasters show the additions of the dairy cow, the for sale sign, the milk treatment plant and the swallows. Navigating the aisles of mostly Chinese imported goods, I came across coasters reminding me of ‘Willow Pattern’ dinnerware. Originating in England, the willow pattern traditionally imitates a Chinese landscape and represents the first journey of migration. The coasters reveal no trace of origin on the packaging or coaster, but I assume, ironically, that they are a Chinese import, therefore a second migration. 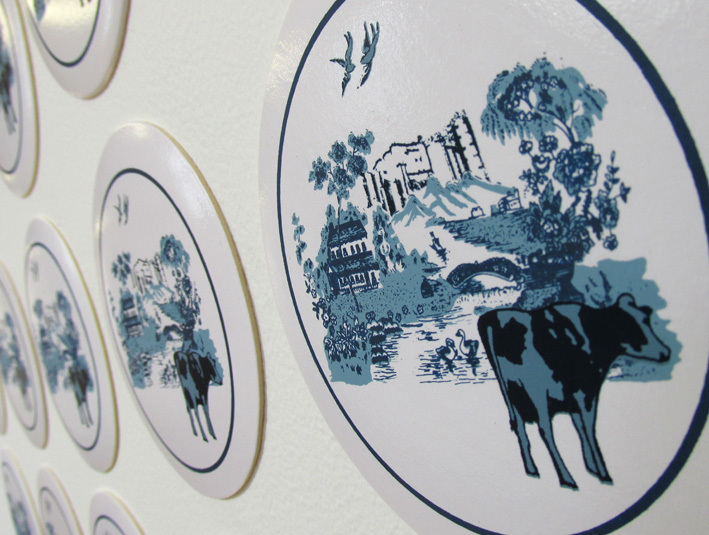 The coasters have undergone a further migration with the intervention of screenprinted imagery showing dairy farming, with a milk treatment plant looming large in the background. This alludes to Chinese investment here in New Zealand, depicting yet another form of migration. The swallows, appropriated from the common willow pattern design, are said to represent lovers. China / New Zealand relations have been somewhat contentious of late. Also too, the ‘coaster’ aptly refers to one living by the sea. This entry was posted in 2014 and tagged Exhibition on January 22, 2015 by marionwassenaar. 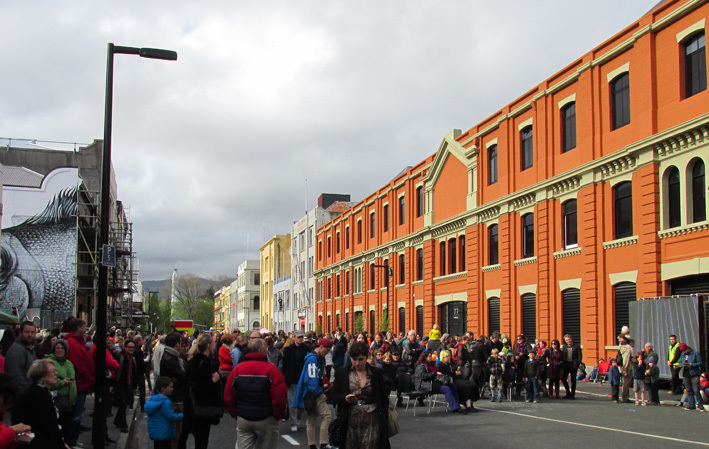 The Salon des femmes are a coterie of passionate artists, all alumni from the Dunedin School of Art, who get together in community collaboration and exhibitions. Check out the website for our latest collaboration. 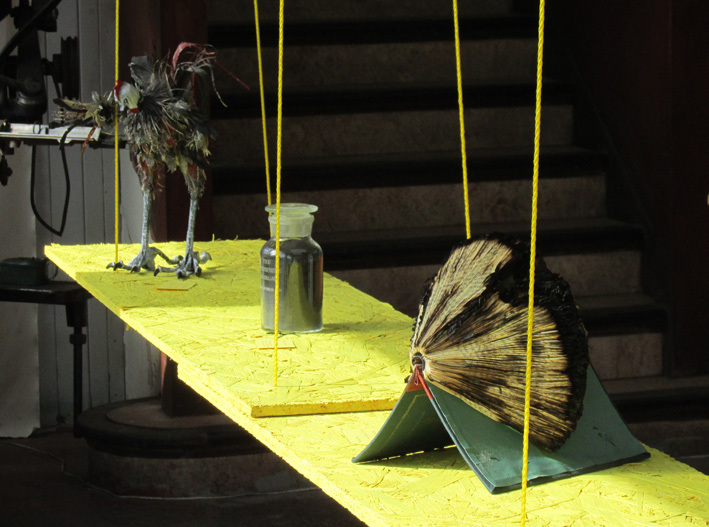 This entry was posted in 2014 and tagged Collaboration, Exhibition on September 1, 2014 by marionwassenaar. 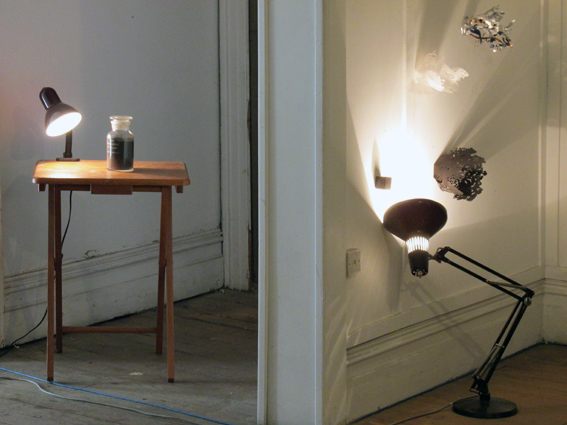 On Friday 10th January the ‘Oil on Canvas’ exhibition opened at the Dunedin Community Gallery. 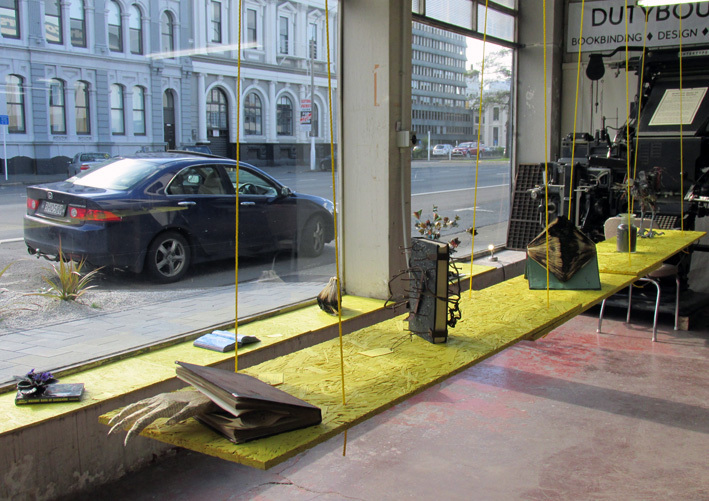 Artists from all over the country displayed their works, exploring the theme of deep sea drilling in Aotearoa. My work for this show included a series of nine prints with drawings using a ‘kitchen lithography’ process that works on the basis that oil and water doesn’t mix. 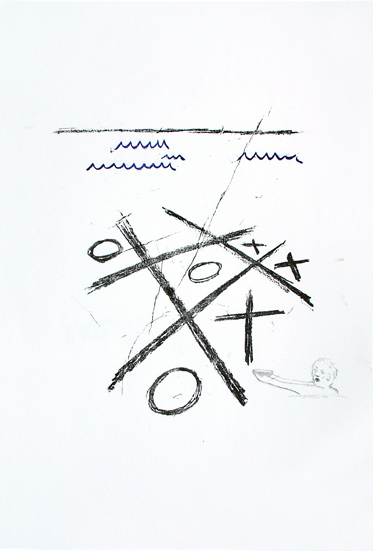 The imagery played out a noughts and crosses game where x = water and o = oil. Either had the chance to win but water was given the victory in the final image. 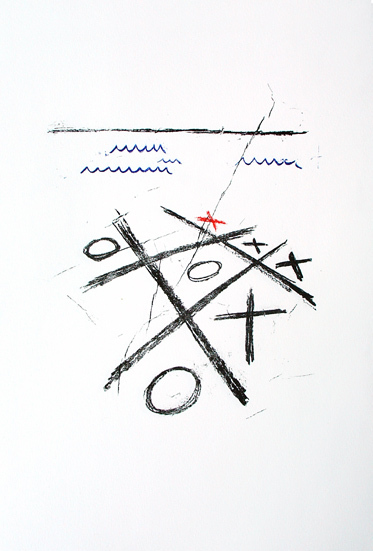 The drawing sketches made reference to Hieronymous Bosch’s painting ‘The ship of fools’. 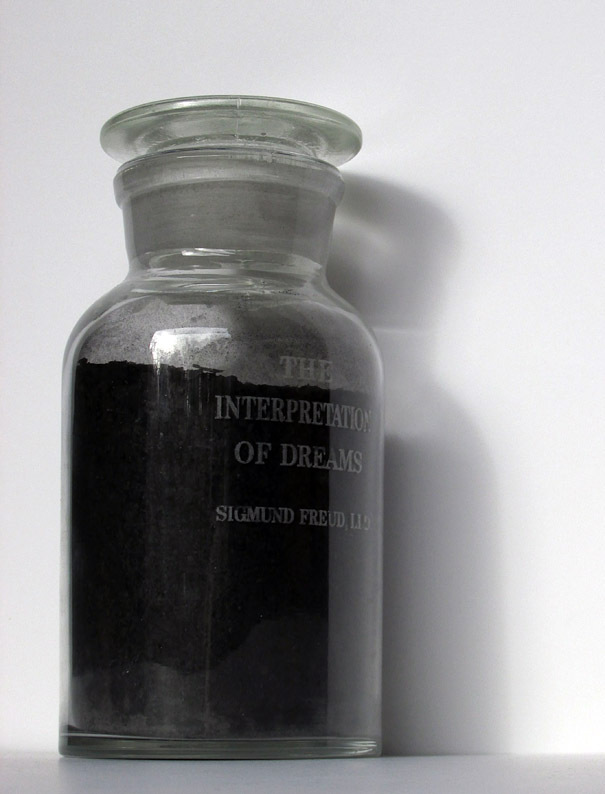 Along with this print series was a found object, sculptural work from my first year sculpture project, consisting of an old petrol can with an Arabian proverb written in reverse and a car rear view mirror lying beside the can to make the proverb comprehensible. This entry was posted in 2014 on June 3, 2014 by marionwassenaar.